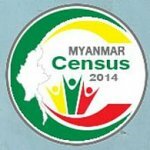 In March/April 2014 Myanmar will carry out its first population and housing census in more than 30 years. If carried out properly it may provide reliable data to be used not just by the government, but also by civil society organizations and political parties, as a basis for negotiating the terms of the country’s future peace. In a PRIO Policy Brief we analyse the preparations for the census, discuss the risks and challenges, and provide recommendations for how to conduct the census in a conflict sensitive way. The Policy Brief aims to reach stakeholders in Myanmar, and has been translated into Burmese. We would also like to remind you about the Policy Brief we published last year, on Political Parties and Peacebuilding in Myanmar.